Rain is on her way home! Well, almost at least. I’m working out the last details with the lovely MissFlynn as I type. I can’t believe how excited I get – I’m all tingly in my tummy! I’ve got a beautiful wa-loli kimono from the talented Keely ready (I’ll do a review with pictures and all when Rain comes home and I get a chance). I’ve got a beautiful Licht wig coming, too (and the review will appear around the same time as the kimono review). All I need is shoes, which will likely take me some time to get… I don’t want to risk any more packages getting lost in the crazy postal system! I think I’ve mentioned this before, but I’m ready to mention it again: If you want to participate in a GO (group order), you should contact MissFlynn. 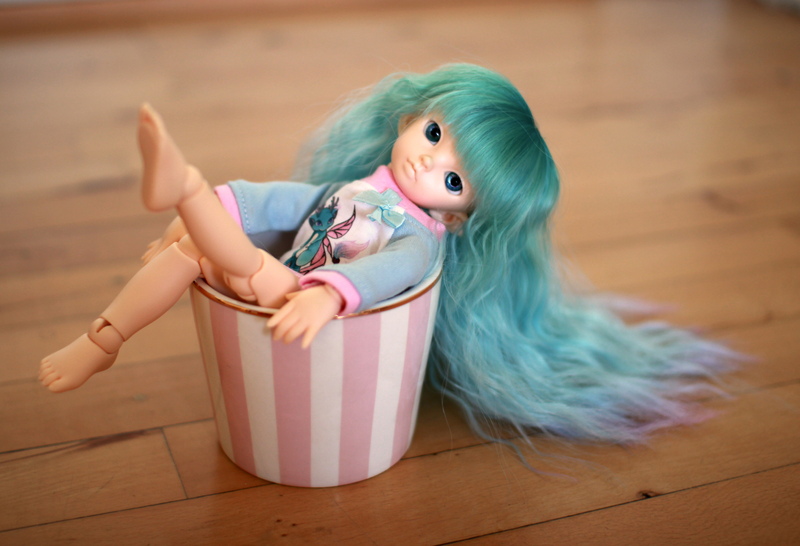 She has a DoA account, but I prefer to keep an eye on her Tumblr: BJD Group Orders. She’s the nicest person, and she’ll hop on her tongue from USA to whatever doll company you’re ordering from, if that’s what it takes. If you’re annoying and want only a LittleFee faceplate (like myself), she’ll do her very best to find somebody for you to split with. She does split that enables you to get the clothes from a fullset, etc. The short version: Go join her group orders. She’s great at it! It feels like I only sit down to blog about bad things these days. But it’s either that or blogging about my wedding! (On a dolly-wedding related noted, I wish I could dress all my girls in either tiny replicas of my wedding gown or possibly of my niece’s dress – she’s a bridesmaid.) All my time these days go into the big box of “Wedding related problems and worries”. And when I finally have a little time, I usually look at other people’s pictures or…well, sleep. I’m tired all the time! Anyway! The problem today is the fact that I’m moving. We’ll have our new apartment from the 1st of September, and we have to be out of our current apartment by 1st of October. This in itself is not a problem, it’s great! I want to get out of this awful, tiny place. But it poses quite a bit of problems. As in: I’ve ordered dolls from both Fairyland and Lati with my current address, and now it seems that especially the Lati dolls will NOT make it in time. And our wonderful, super-expensive postal service will make sure that all my packages arrive at my old address. They are capable of delivering LETTERS to my new address, but not packages. Hurray for stupid postal services. This is absolutely not a fun situation. If Lati hadn’t taken so darn long with my order, this wouldn’t even have been a problem!!! A goodbye…and hopefully a hello! True to form it’s been a while since I last blogged – exams, a funeral, planning of my wedding and life in general has a way of getting in the way of me writing here! But now I’m back and will try to keep up again. As most people know by now (news get old fast in the doll hobby!) 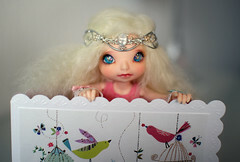 Fairyland released tan and a la carte LittleFees for a limited time. While I earlier had been looking at the new Luts Zuzu Delfs and sighing with love for Nine Tails, I just did not have the funds. I discussed selling Molly (my MiniFee Chloe) to raise money, but I was simply not charmed sufficiently to give up my dream of some day bonding with Molly. Then Fairyland released said tan LittleFees, and Rain happily screamed in my ear that did she mention that Kiri was tan? Gah. So yes, hopefully I will manage to sell Molly (preferably within Denmark) and raise the necessary funds to bring home Kiri, a tan LittleFee Leah. It’s tough for me to even contemplate selling her, but reality is that MiniFee is too big a size for me. I consider Cassie, my Momo29, to be the biggest I want to go. I hope to bring home a MiniFee again some day, but for now I’ll be splitting her clothes in piles: One that Cassie can fit and one that is too big. The latter will be sold to raise funds for wigs and shoes for my bat children and basically everything for Kiri and Rain.